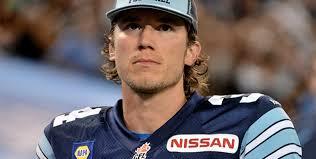 4 year veteran Canadian Football League Punter Swayze Waters was recently signed by the NFC champion Carolina Panthers. On this edition of Sports and Commentary the University of Alabama Birmingham grad joins Greg to talk about a recent mission trip he and his wife led to New York city. Part 2 of a 2 part series.